The products of THERME Cleopatra's Secrets are inspired by the special beauty of queen Cleopatra, one of the most famous Characters in the fascinating history of Egypt. 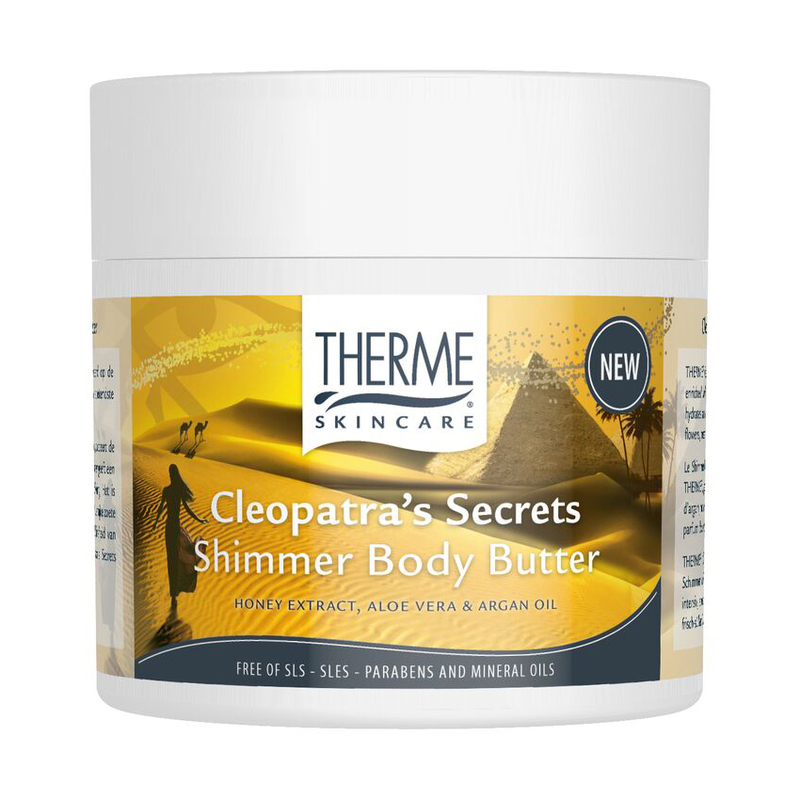 THERME Cleopatra's Secrets Shimmer Body Butter, with golden shimmer, enriched with honey extract, aloe vera and argan oil, intensely nourishes, hydrates and softens the skin. Enjoy the fresh, sweet fragrance of honey, flowers, peach and orange.